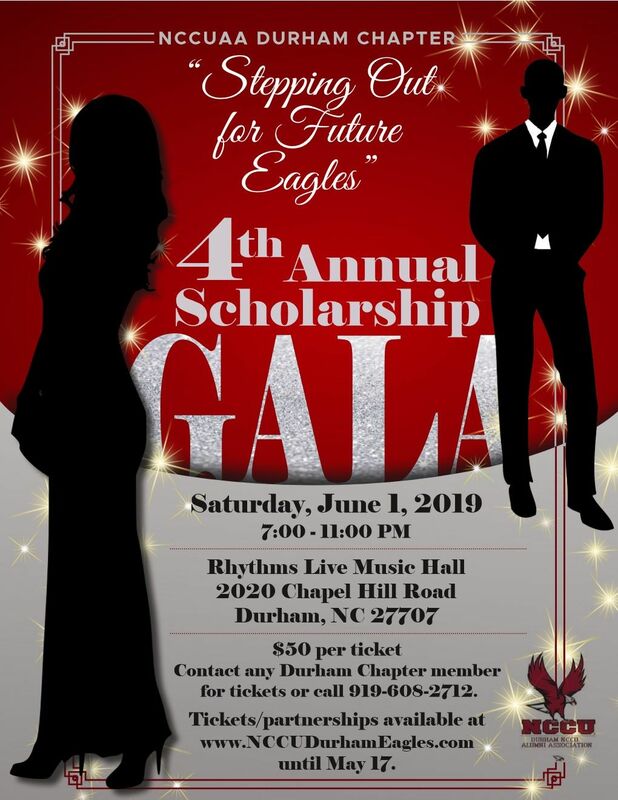 The Durham Chapter invites all of our NCCU Eagle family and friends to join us for more enjoyment of NCCU Alumni Association fellowship and events in celebration of our Annual Durham Alumni Chapter Scholarship Gala (June 01, 2019). The Sound Machine Booster Club will meet on every 2nd Wednesday of each month. The Durham Chapter will meet on the 3rd Thursday of the month on the 2nd floor of the Alfonso Elder Student Union. by purchasing one or more 4th Annual Durham Chapter Scholarship Gala tickets. 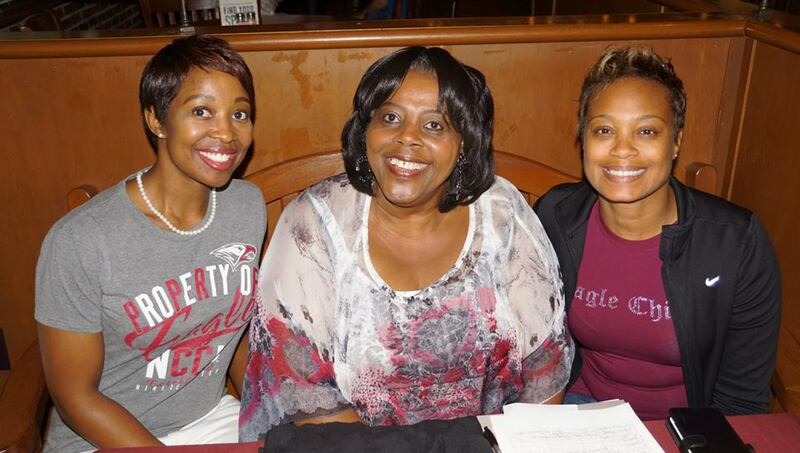 Your generous donation is the perfect gift to financially assist a deserving NCCU student. Table of 10 Tickets Is $500.00. 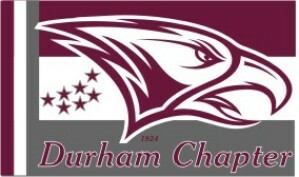 Our Gala proceeds will go toward our Durham Chapter - NCCU Alumni Association Scholarship Fund. If you mail your check or money order to us by May 15, 2019, we will mail your Gala tickets directly to you. Please click here to learn about our Scholarship Gala Partnership Opportunities.